Ah the typewriter. Those of a certain age may remember when these machines were not collectibles or antiques but vital tools for the writer and office worker alike. It’s probably been a while since you’ve seen a person hunched over a manual wordsmitherary, trying to produce a coherent sentence without the aid of spell check, but if you’ve been strolling down the streets of downtown Everett recently you may have stumbled upon this very scene. These modern-day hunt-and-peck aficionados are participating in the city of Everett’s latest outdoor interactive art project titled Word on The Street. Ten vintage typewriters seated atop artist-embellished typewriter tables have been placed on sidewalks throughout downtown Everett. But these creations are not simply museum displays, no no no! People are encouraged to type away and leave their musings for others to discover. And to get the creative juices flowing there is a Question of the Day, provided by Everett Public Library staff no less. If you want to see all of these machines from yesteryear, a list of all their locations is available, including one found in the library of course. Don’t take too long though; the typewriters will only be on the street through August 5th. As you ponder what to type, you may be interested to learn that the typewriter has actually been at the heart of an artistic movement for many years. 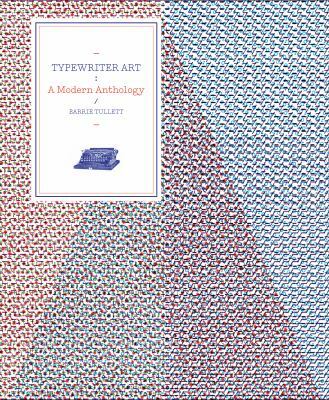 If you would like to take a gander at all the art that was inspired and produced on this humble instrument, definitely check out Typewriter Art: A Modern Anthology by Barrie Tullett. In the pages of this handsome book you will find a surprisingly wide and varied array of works as well as interviews with those who use the medium. So what are waiting for? Get out there and type. This entry was posted in Book Discussions & Events and tagged typewriter art, typewriters, word on the street by everettpubliclibrary. Bookmark the permalink.